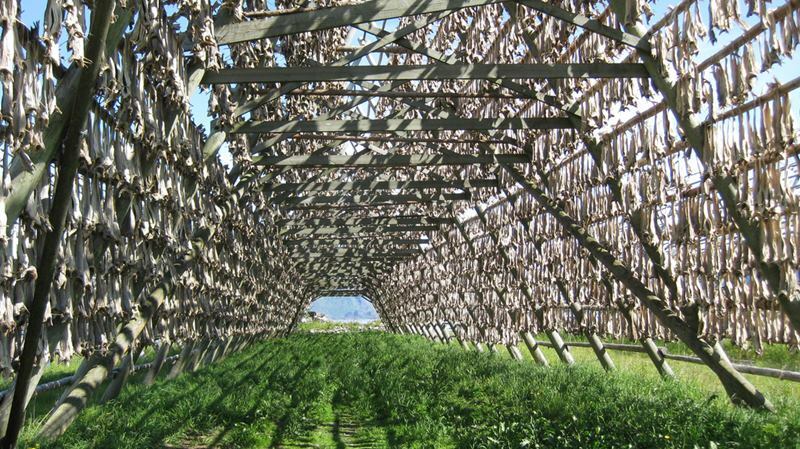 Å is a village of Moskenes in Nordland county, Norway. 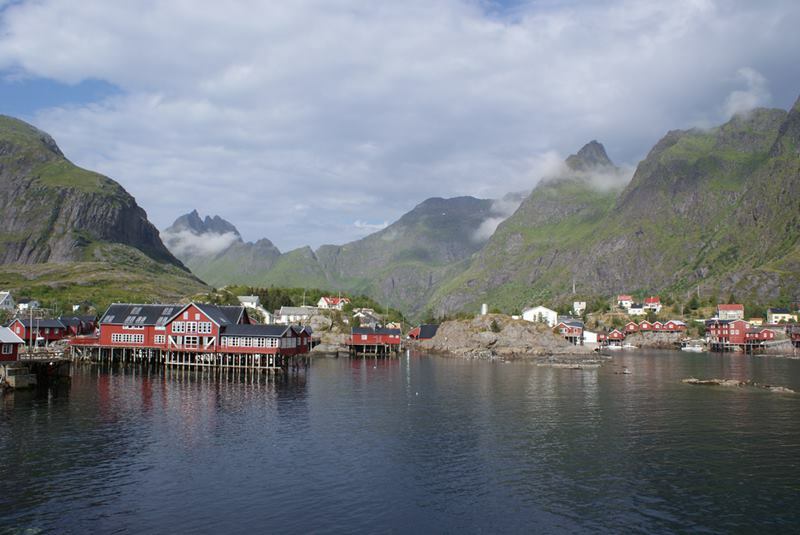 It is located towards the southern end of the Lofoten archipelago. But in Norwegian language its pronunciation "O". 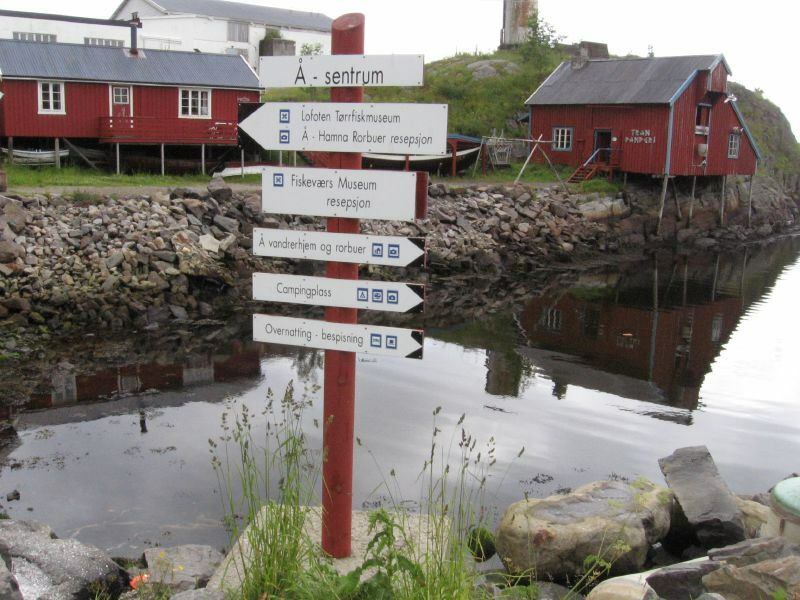 Å is listed in shorted place name in the world. 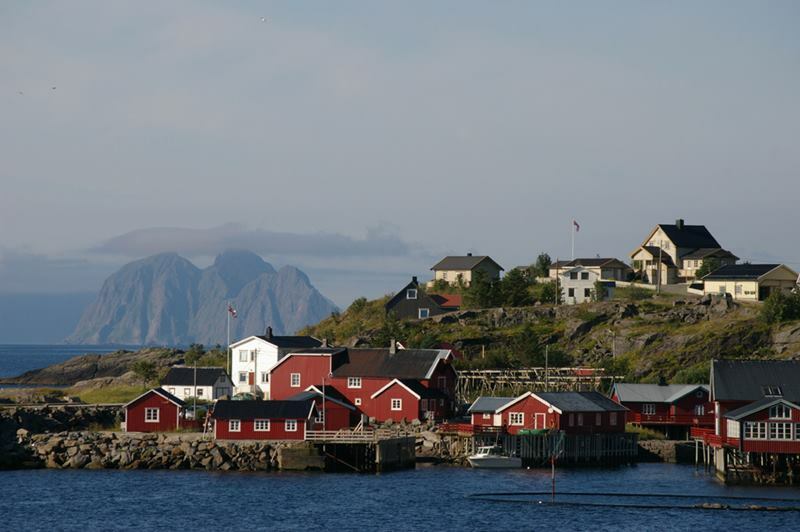 Å emerged as a small town whose economy depended on fishing, mainly salting cod. Now days it mainly depend of tourism, with just over 1,000 inhabitants. 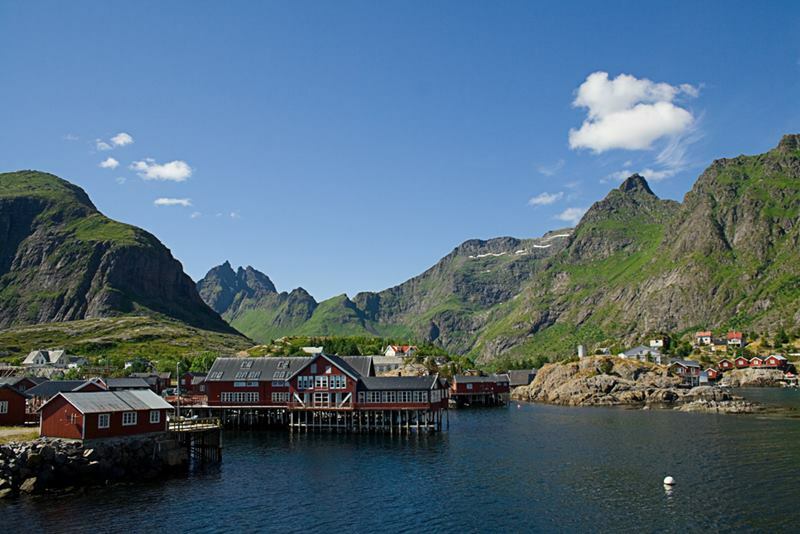 The town features the Lofoten Stockfish Museum and the Norwegian Fishing Village Museum as two big tourist attractions. 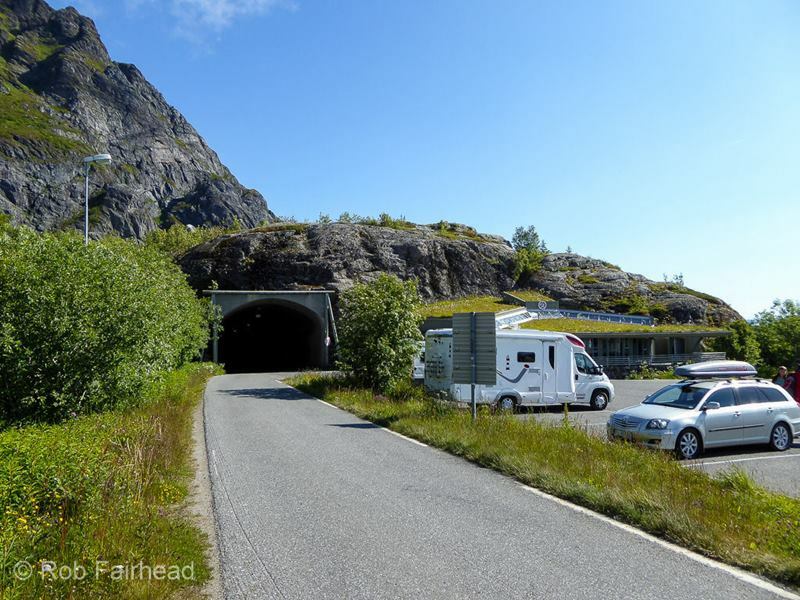 It is connected to the rest of the archipelago by the European route E10 highway. 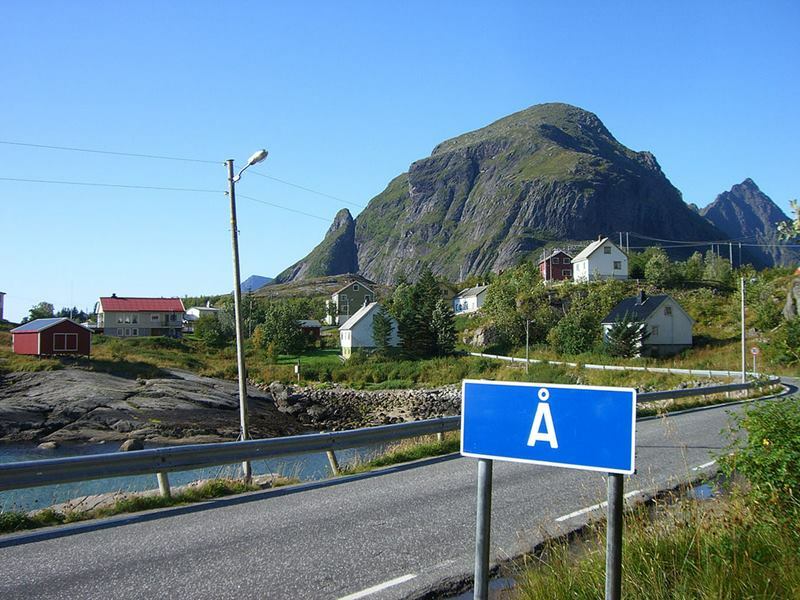 In May 2004, Å became the starting point of a cycling trip from Å to Bee. In 1567 village originally a farm, at that time it was pronounced "Aa". The name is from Old Norse á which means "(small) river". The name was spelled Aa until 1917 when the Norwegian language reform changed the letter aa to å. 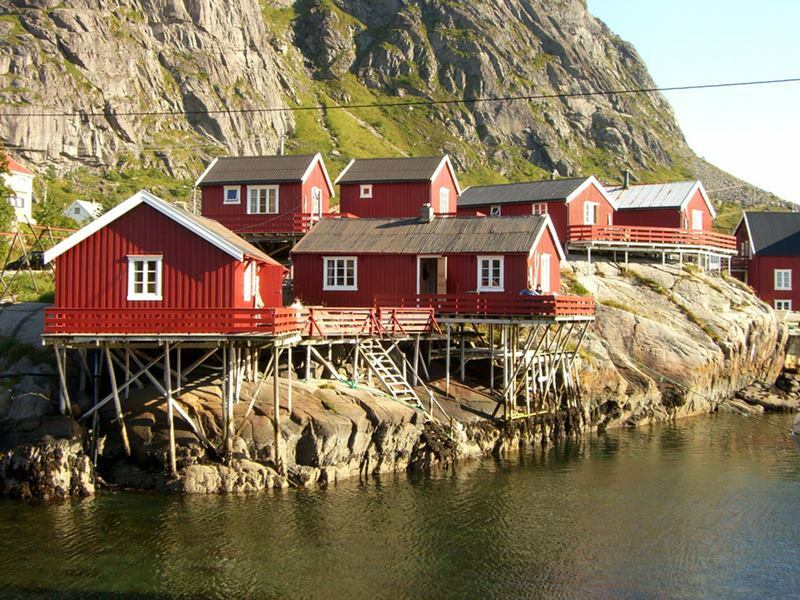 There are many villages in Lofoten, but Å is one of the most remote and the best preserved, and the entire village forms the Fishing Village Museum. 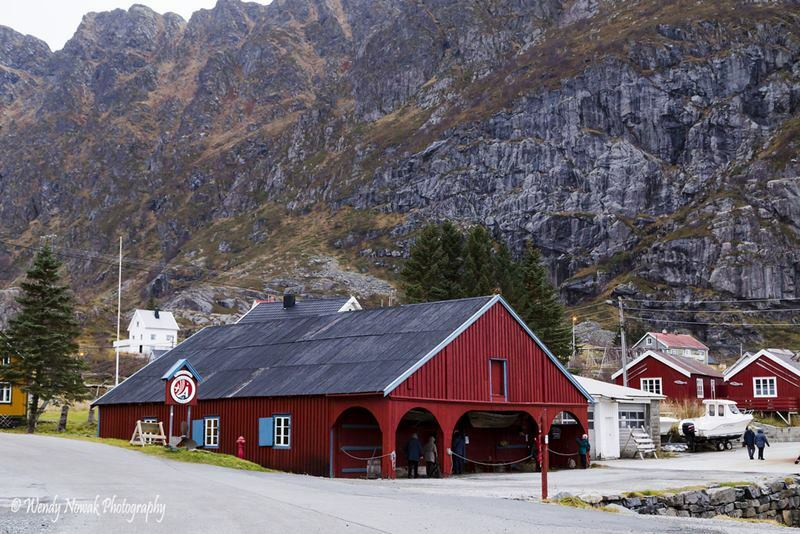 The boathouse is one of the gems of the Norwegian Fishing Village Museum. It contains a wonderful collection of old Nordland boats, from the little four-oared boat which is rowed by two people, via the six-oared boat rowed by three people, to the eight-oared boat that needs four people to row it. 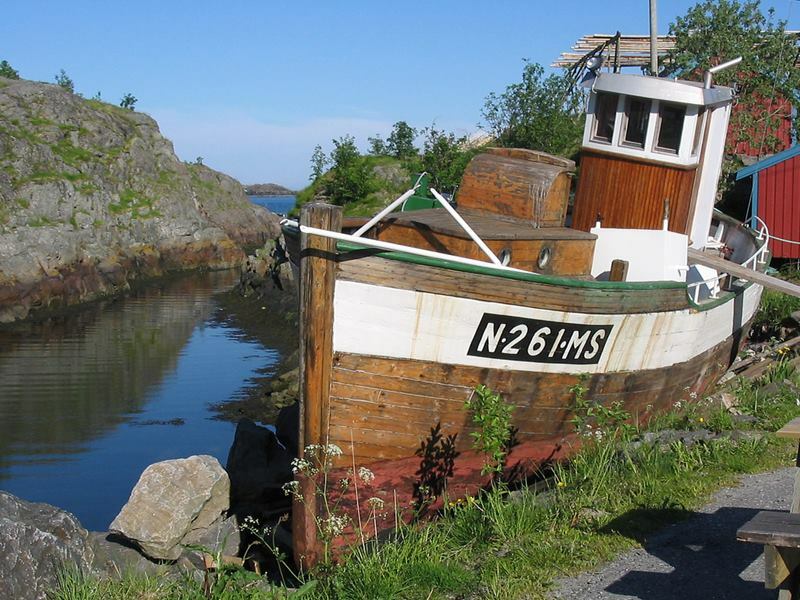 There is also a converted Nordland boat with a motor, dating from the time motor power took over in 1915. 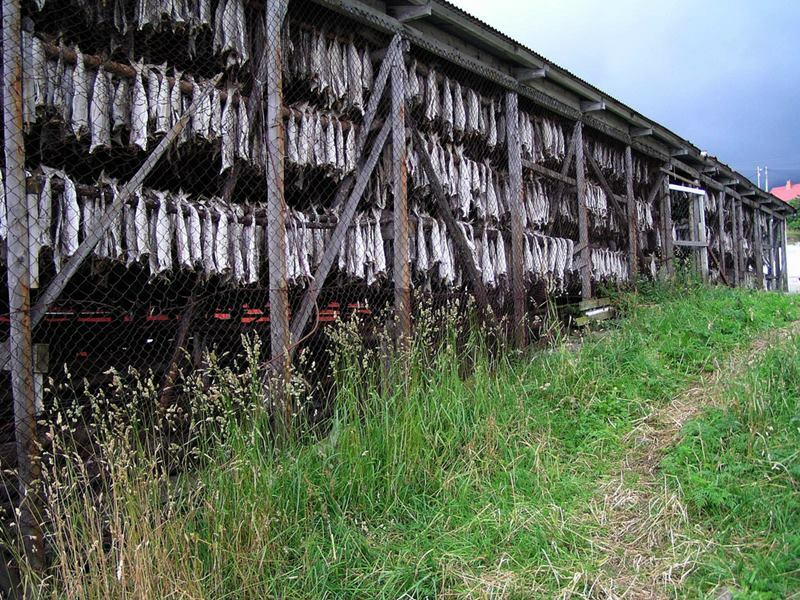 It also contains an extensive range of fishing equipment, like the hand lines that have been used for thousands of years. There is a tanning vessel in which nets were soaked, an electric wheel for a hand line from the 1960s, and exhibitions about the whaling industry. Photo credit Vincent N. B.